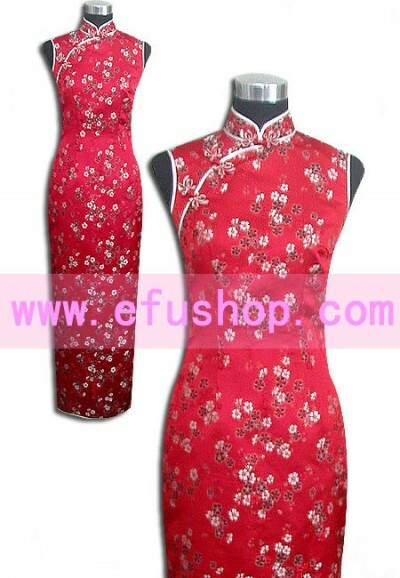 Description: red cheongsam dress, red with plum blossom fabric. Cheongsam collar with white piping and buttons at the right piece. Back zipper. Ankle length. Traditional cheongsam dress.